We recently became involved with Bluebell Wood Children’s Hospice, based in North Anston near Sheffield, and are currently raising funds for this fantastic cause. 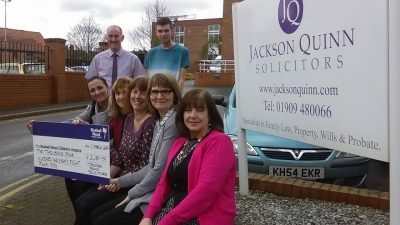 Including some advertising in their news letter, collecting tins in the offices, sponsorship and office bake-offs we raised a total of £2,488.93. 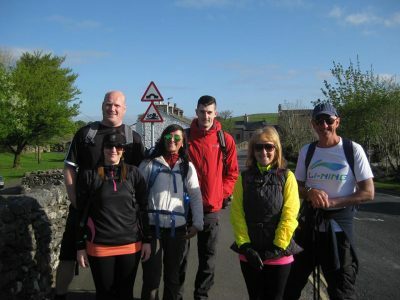 A team of six, made up of Conveyancing Solicitor Kerry Taff, Accounts Supervisor Adelle Stoddart, Practice Manager Bob Sawyer plus Andrew Taff, George Sawyer and Pauline Thomas tackled the infamous Yorkshire Three Peaks Challenge to raise money for Bluebell Wood Children’s Hospice. Twenty four miles in twelve hours, climbing Pen-Y-Ghent, Whernside and Ingleborough and circling the village of Horton-in-Ribblesdale deep in the Yorkshire Dales. Despite lots of blisters and tired muscles a great day was had by all and we raised a total of £1,216.05.